Winnie has decided it is time for a holiday, so she picks an dislan, packs her bags and cat and flies off. 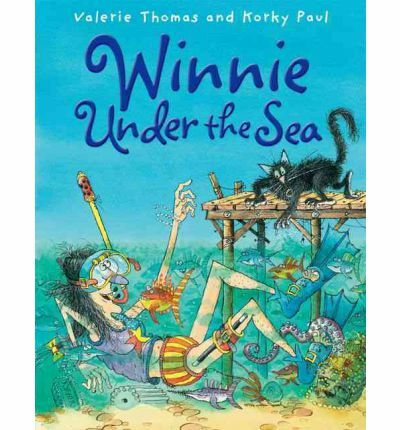 Winnie loves swimming beneath the waves, Wilbur not so much, so Winnie changes him into a fish. When she sees him having so much fun she changes herself into a different sea creature. Disaster strikes when she loses grip of her wand. Will she be able to find it and is there another way to explore the wonders of the sea? A fun adventure with that quirky, wacky Winnie. These books are always entertaining and Paul’s illustrations are detailed, distinctive and perfect for the strangely appealing Winnie. I really like these books.